“What is more compelling than [Horace Roberts’] watch that’s found next to the murdered woman’s body? There’s nothing more compelling than that.” (Prosecutor’s Closing Statement, July 16, 1999.) Indeed, Horace Roberts was convicted based largely on evidence presented at trial that his watch was found next to the murdered victim. Little did the prosecutor know, fifteen years later, DNA testing would reveal the watch did not belong to Horace. Rather, it belonged to someone related to the victim who had ample motive to kill her or have her killed. Terry Cheek never reported to work late at night on April 13, 1998. Four days later, she was found strangled to death and her body abandoned in the rocks on the shore of Corona Lake. The last persons to see her alive were her two daughters and husband. Suspicion quickly turned to Horace Roberts early on in the investigation because Terry had been having an affair with Horace and, when questioned about the affair, lied to co-workers and lied to police. Although he lied out of shame and embarrassment, the police did not see it that way. Instead, they saw a man covering up for a brutal murder. It would take three full jury trials to get a conviction on Horace. The prosecution’s case against Horace consisted of pointing out Horace’s inconsistent statements, pointing out his lies designed to cover up an affair, the presence of his truck near the crime scene, a purse in Horace’s possession that one of Terry’s daughters thought Terry left with the night she disappeared and, above all else, Horace’s alleged watch found next to Terry’s body. 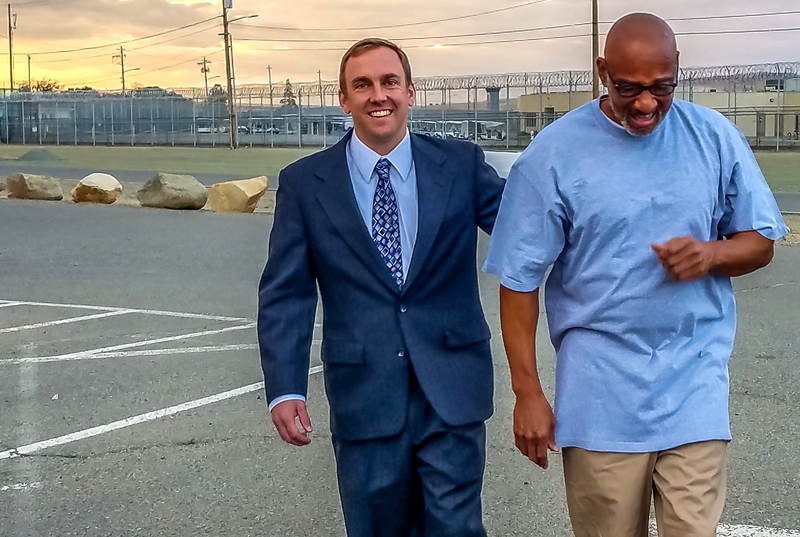 After his conviction and appeals, Horace contacted the California Innocence Project. Over the next decade, the California Innocence Project had DNA testing done on the watch, Terry’s fingernails scrapings/clippings, and a rope that was used to strangle Terry. While no DNA was found on the rope, DNA evidence shows the watch belongs to one of Terry’s family members who had motive to kill her. DNA under her fingernails is not Horace’s, but an unidentified male. With this information, the California Innocence Project filed a petition for writ of habeas corpus on behalf of Horace Roberts in June of 2013. More than a year later, the Honorable David A. Gunn denied Roberts’ habeas, finding Roberts did not “completely undermine the entire structure upon which the prosecution is based” and the evidence did not unerringly point to his innocence. In denying the petition, Judge Gunn stated that if he were to be using the lesser burden for “material false evidence,” he would have likely granted a new trial because the evidence “surely raises the spectre of reasonable doubt.” Following the denial of the habeas petition, the California Innocence Project urged lawmakers to reduce the standard by which new evidence can reverse a conviction. 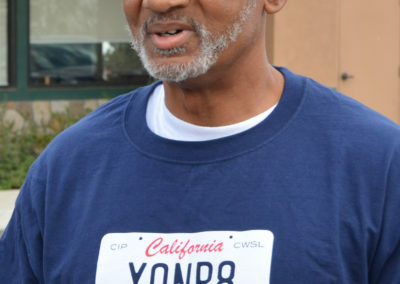 While lawmakers considered reducing the standard to be in line with the majority of the rest of the states, the California Innocence Project asked for additional DNA testing on items from the scene of the crime. Judge Gunn granted additional testing in June of 2016. In September of 2016, the California legislature amended Penal Code section 1473 reducing the new evidence standard. In 2017, the crime scene evidence was sent to the California Department of Justice Crime Laboratory in Riverside. 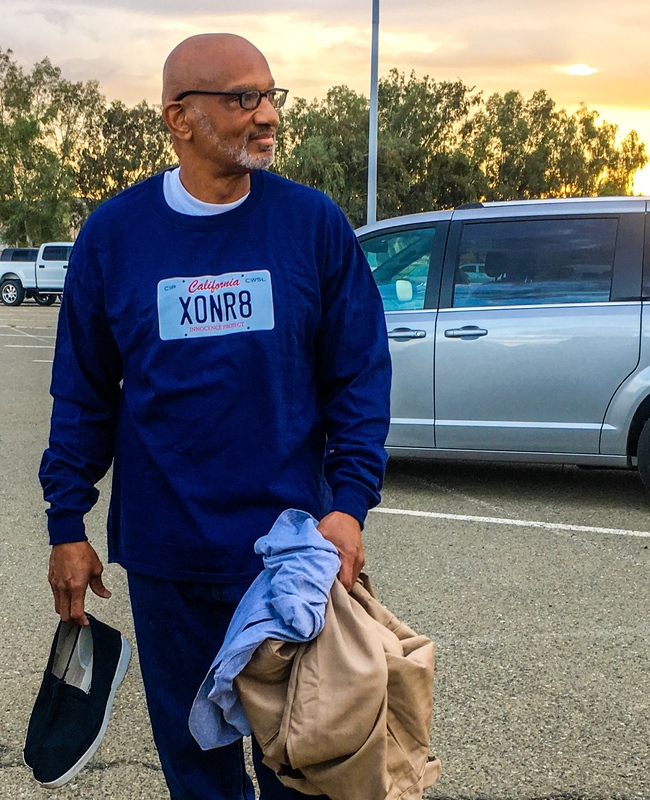 The testing concluded in early 2018 and the California Innocence Project presented the results and the case to the Riverside District Attorney. The DA launched an investigation. 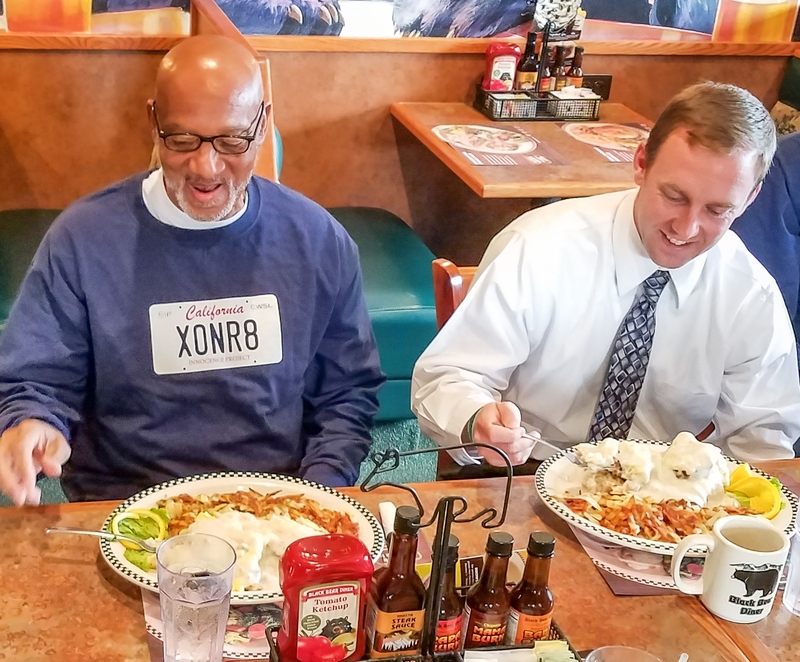 On October 2, 2018, the DA agreed to reverse Horace Roberts’ conviction. 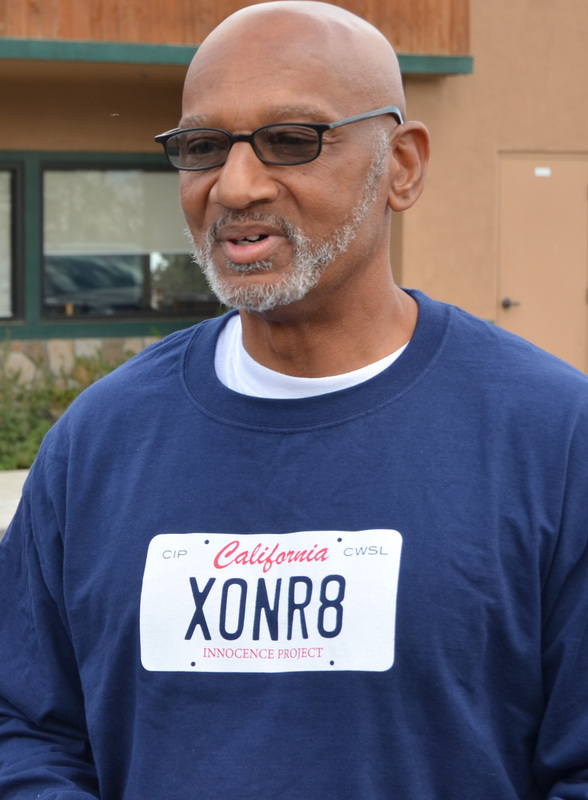 The following day, California Innocence Project staff picked Roberts up from prison and drove him to San Diego. A week later, Roberts was reunited with his family in South Carolina as the DA’s investigation continued. On October 12, 2018, the Riverside District Attorney dismissed all charges against Roberts. Finally, on October 15, 2018, the Riverside District Attorney agreed to a Finding of Factual Innocence in Roberts’ case, closing this chapter of his life and allowing him to move on. Horace Roberts is eligible for state compensation according to California Penal Code section 1485.55. Under the law, wrongfully convicted inmates like Roberts can receive $140 per day for everyday they spent incarcerated. 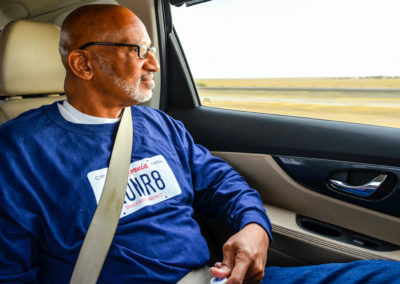 Horace Roberts is the 29th person the California Innocence Project has freed since the Project’s inception in 1999. Horace Roberts pictured shortly after his release from prison. 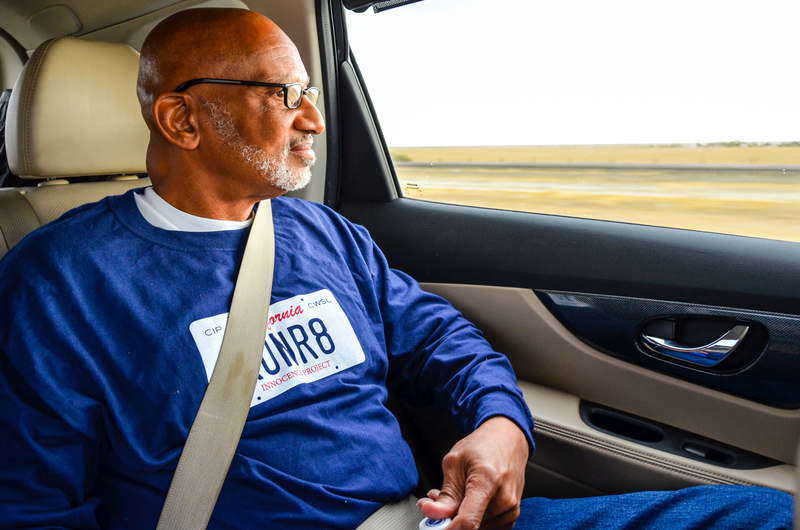 California Innocence Project client Horace Roberts looks out the window as he drives away from the prison. 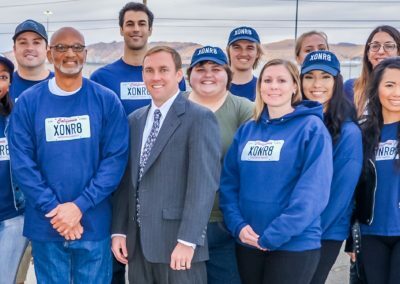 California Innocence Project students and staff stand with Horace Roberts moments after he walked out of Avenal State Prison. 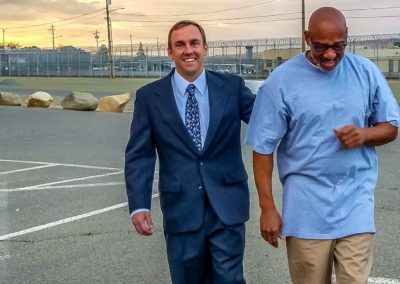 California Innocence Project client Horace Roberts walks with his attorney, Michael Semanchik, moments after he was freed from prison. 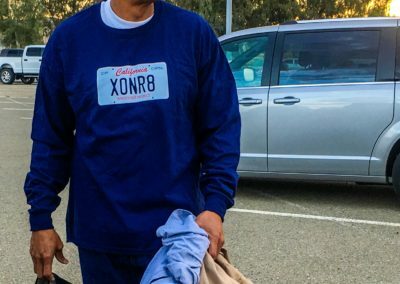 California Innocence Project client Horace Roberts walks out of prison after 20 years of wrongful incarceration holding all of his belongings. 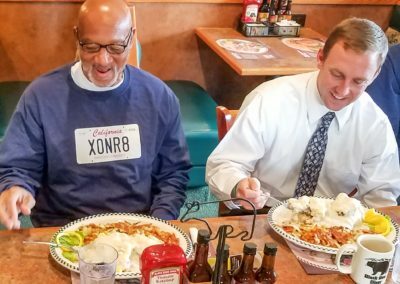 California Innocence Project client Horace Roberts enjoys his first meal as a free man next to his attorney, Michael Semanchik.